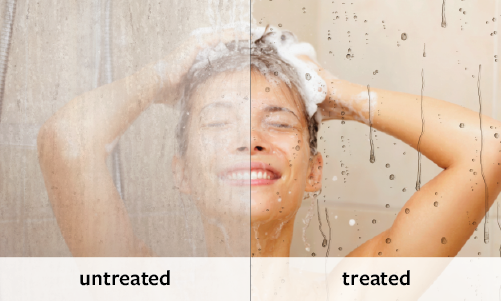 Acting as an invisible shield, the EnduroShield® coating bonds to the substrate and helps protect against dirt, grime and soap scum, and also from staining, etching or discoloring. EnduroShield repels both water (hydrophobic) and oil (oleophobic) leaving an easy to clean surface that is very similar to a non stick fry pan. The coating does not change the look or finish of the surface, it just keeps it looking as good as the day it was treated. You clean less often, with less effort, and the surface won’t deteriorate over its life like untreated surfaces. There are no specific after care products to purchase to maintain the coating, saving you time and money. Shower glass needs to be cleaned each week using a damp microfiber cloth and a mild detergent (such as washing up liquid) to remove any soap scum, dirt or grime from the surface. 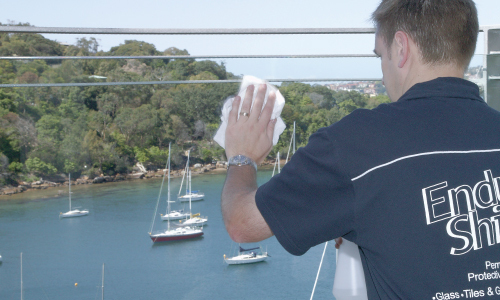 For outdoor glass surfaces such as railings and windows, clean as required using water and a mild detergent . Wash the glass with a microfiber cloth, and dry with a good quality squeegee (such as Ettore or Pulex brands). 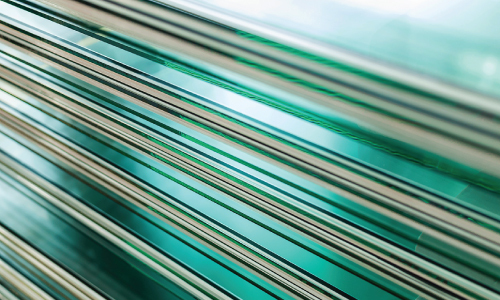 For best results clean the glass in the shade to prevent streaking. Clean shower tiles and grout each week. Other tiles such as backsplashes and floor tiles can be cleaned as required. Use diluted white vinegar and/or a mild detergent with a damp microfiber cloth to remove soap scum and grime from the tiled surface. If required, to control mold, neat vinegar or a solution of bleach and water (1 part bleach to 4 parts water) can be sprayed onto effected grout lines. 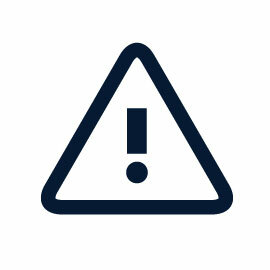 Rinse thoroughly after use and wipe with a microfiber cloth. 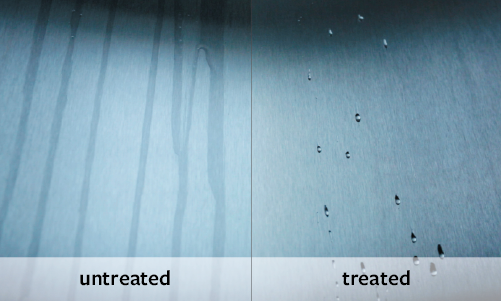 General cleaning of interior stainless steel and chrome treated surfaces can be done with warm water and a microfiber cloth, then allowed to dry. For tougher stains use with a mild detergent or an all purpose spray-on cleaner and then buff dry. Exterior surfaces should be cleaned with warm soapy water and a microfiber cloth, then rinsed with fresh water. For best results rub in the direction of the grain. Be careful not to use any rough, gritty, abrasive, highly acidic or alkaline cleaners as they may damage the protective coating. This includes products such as Comet (powder), Ajax, or cerium oxide which damage or polish back the actual substrate. 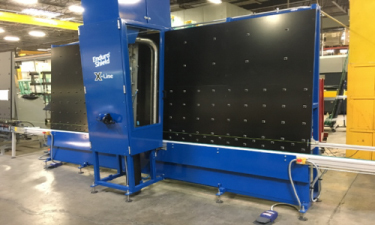 Accelerated testing undertaken to simulate 10 years of cleaning was undertaken using 6 of the top selling cleaning brands in the US, showing no detriment to the coating. 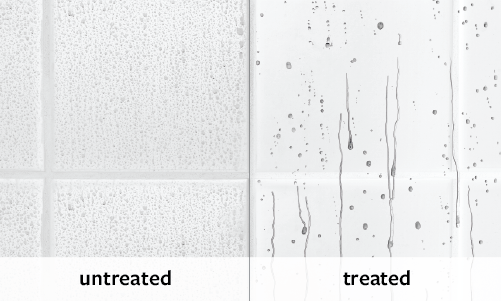 It should be noted that with any cleaner used on the EnduroShield surface a thorough rinse with clean water should follow immediately. Although these cleaners can be used instead of the suggested maintenance, EnduroShield is designed to be an ‘easy clean coating’ which requires only vinegar and/or a mild detergent that does not contain harsh or toxic chemicals to maintain the surface effectively. For areas with hard water or bore water, due to a higher concentrate of mineral deposits such as lime and calcium, a build up may occur on the protective coating that may not be easily removed with a mild detergent. A solution of white vinegar and water (1 part vinegar to 4 parts water) should be sprayed onto the glass and allowed to soak for several minutes. This will dissolve any mineral deposits that have built up on the glass surface. Re-spray the glass with the vinegar solution and then wipe firmly with a microfiber cloth. A stronger solution of vinegar to water can be used if needed. Around the world there are some unique locations which have extremely harsh conditions. In some cases stubborn stains can occur in under 1 year. New Orleans, Louisiana and Perth, Western Australia are examples of cities with very high mineral concentrations. 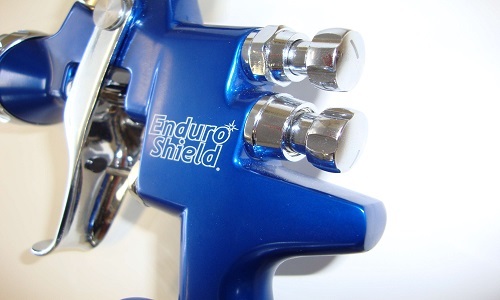 In these harshest of water environments, EnduroShield is a great choice. 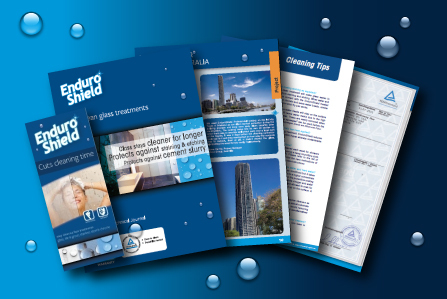 Without the protection of EnduroShield, your glass may have to be replaced or professionally restored. 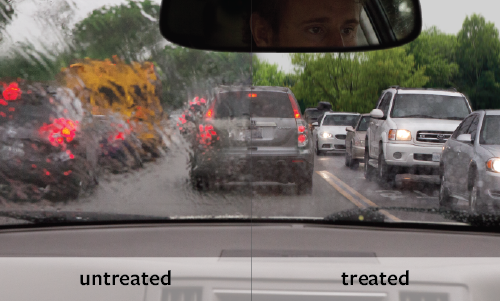 EnduroShield allows you to have great looking glass, but it takes a little more work due to these specific environmental conditions. In such conditions, minerals are so prevalent in the water that they can still create a build up on top of the coating and become difficult to remove. We recommended using the vinegar / water solution (listed above) every week or so as a cleaning option to reduce this build up on the surface, rather than allowing the build up to accumulate over a long period of time.